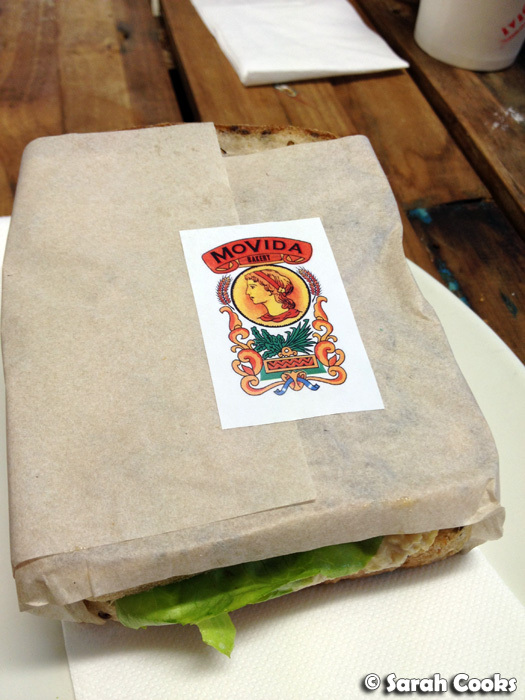 This week I visited the new-ish MoVida Bakery - twice! The first visit was with some friends for a weekend brunch - they live close by, and recommended their baked goods pretty highly - and the second was with my parents during the week. 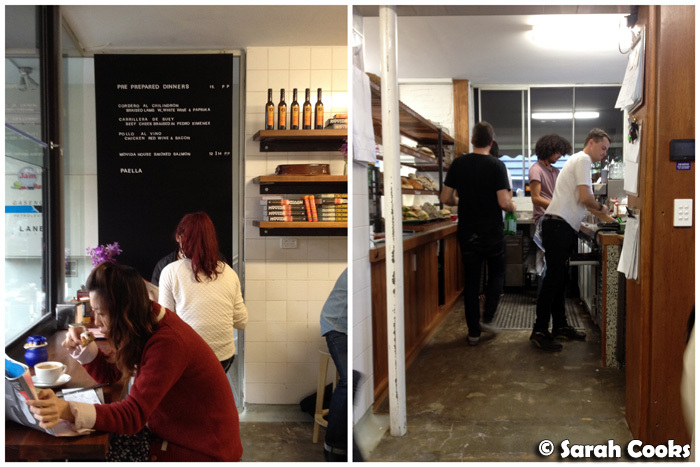 These were actually my first visits to any venue in the MoVida family, (I know, food blogger fail! ), and needless to say, I really enjoyed them! 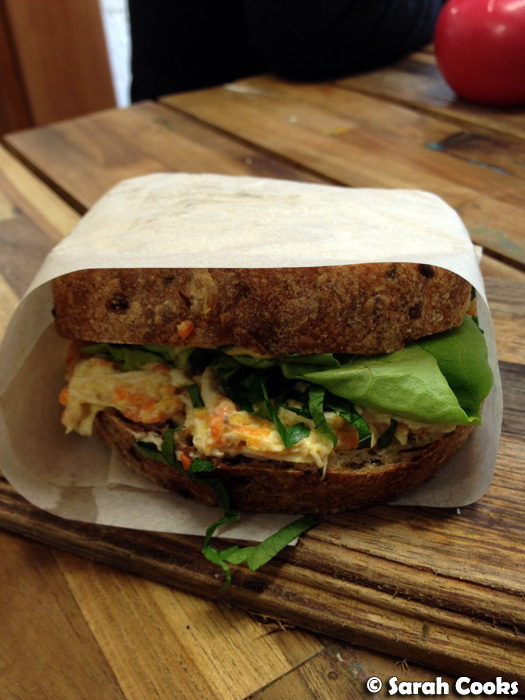 The bakery is located on a quiet residential street, just off leafy Toorak road. Let's start with some pics from the first visit. 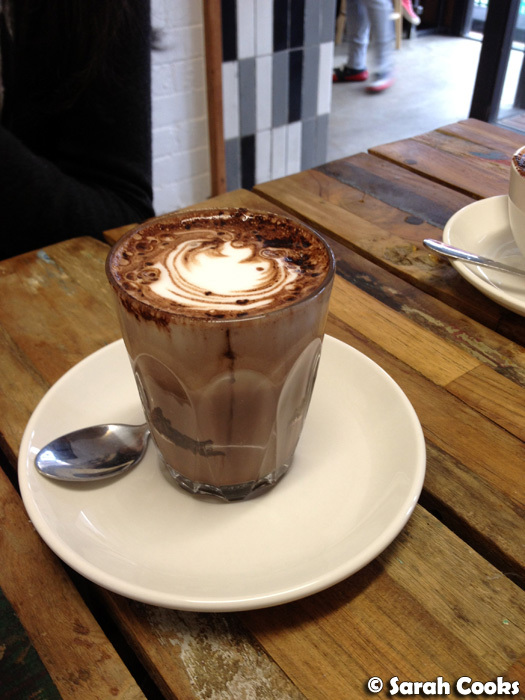 It happened to be a blustery cold day, and we sure were glad to come into the warm, cosy space! It was full but not crazy busy when we arrived at midday on a Sunday, so we ordered a round of takeaway coffees and waited for a table to become free, which only took about fifteen minutes. This gave me a bit of time to ogle the display of breads and baked goods, and make my decision. The sweets on offer included danishes, brownies, cookies, cocoa meringues (which reminded me of the Ottolenghi-inspired ones I made for my ice-cream party a few months ago - yum! 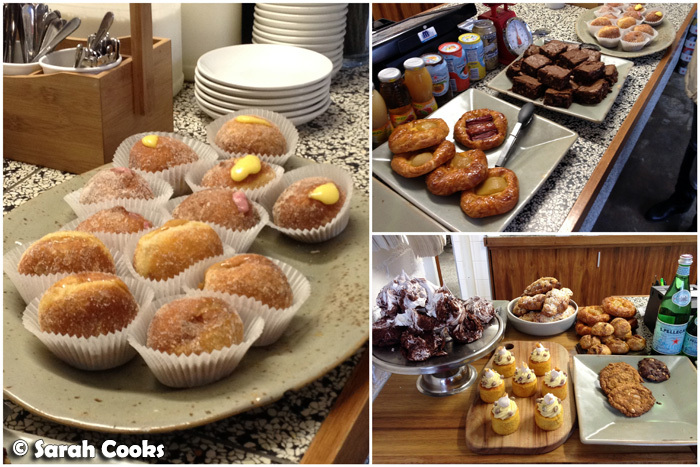 ), and, of course, loads of their famous donuts. When I ordered, there were only two salted caramel ones left, one slightly bigger than the other, and as I was about to order one, someone else got the larger one. Nooooo! 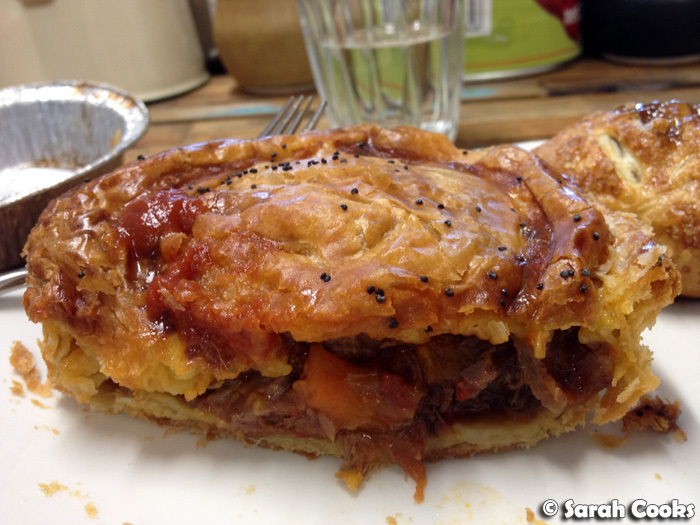 Savoury options include pies, sausage rolls, sandwiches and soups - I got a beef pie, whilst Sandra got a sausage roll. We ordered a second round of hot drinks to go with the sweets. 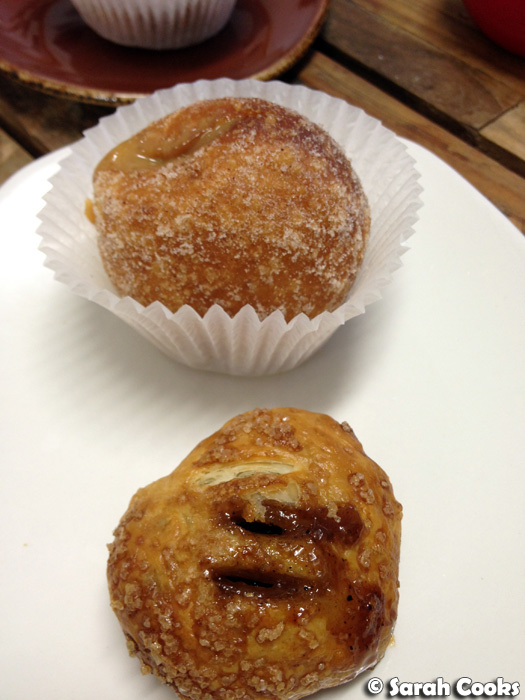 In addition to the salted caramel donut I mentioned above, I couldn't resist an Eccles Cake. I've seen them in lots of my British cookbooks, but never in real life, and really wanted to try one. It was probably a good thing that we got the smaller salted caramel donut, as it was quite rich and it was a struggle to finish it. 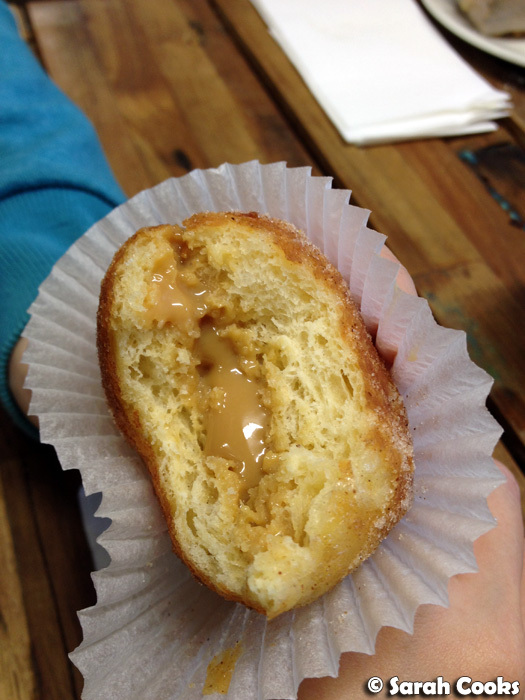 I would have liked a little more salt in the caramel, but aside from that it was delicious, very fresh and fluffy, with a good ratio of filling to donut. I was actually more excited about the Eccles cake, hehe. 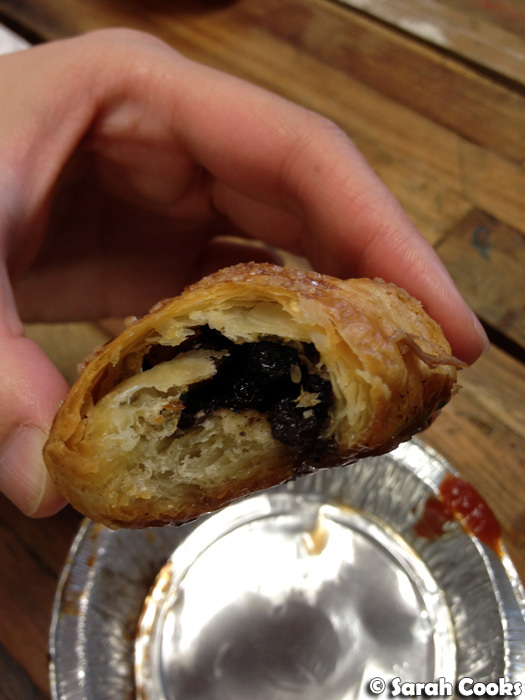 An Eccles cake contains dried fruit, surrounded by puff-pastry. 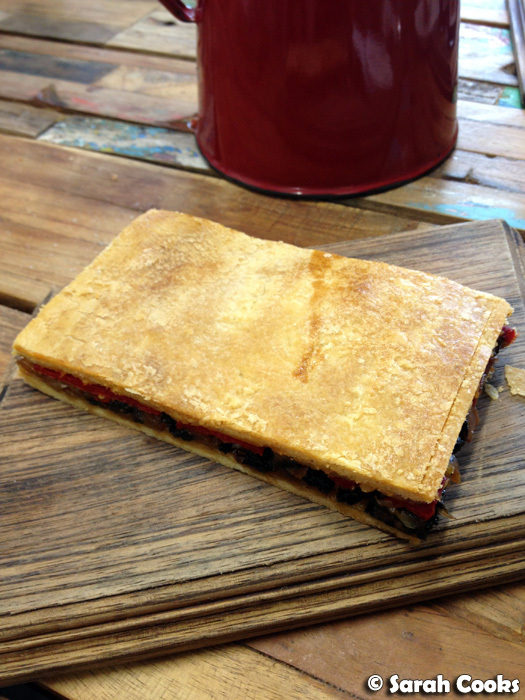 The pastry here was super light and flaky - I loved it! Heston Blumenthal has an easy-looking recipe (yes, really!) for Eccles Cake with Potted Stilton in his latest book; I'd love to give it a go at home! 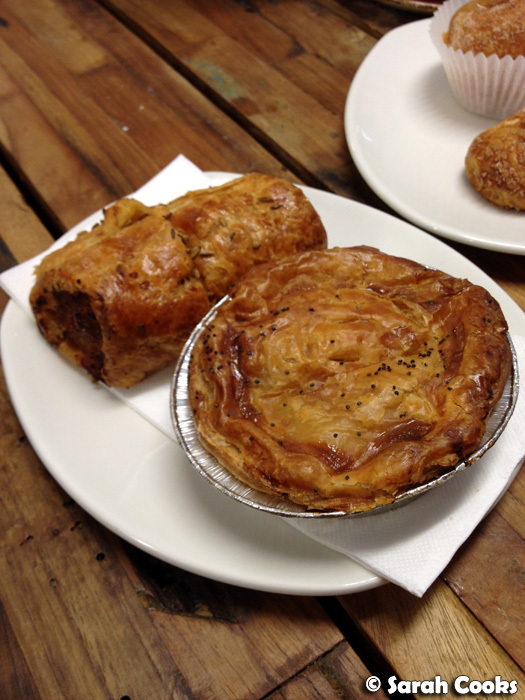 I didn't note the individual prices of the different items, but the pie, sausage roll, donut and Eccles cake came to $17.50, which I thought was pretty good value, especially considering the area and the name behind the bakery. 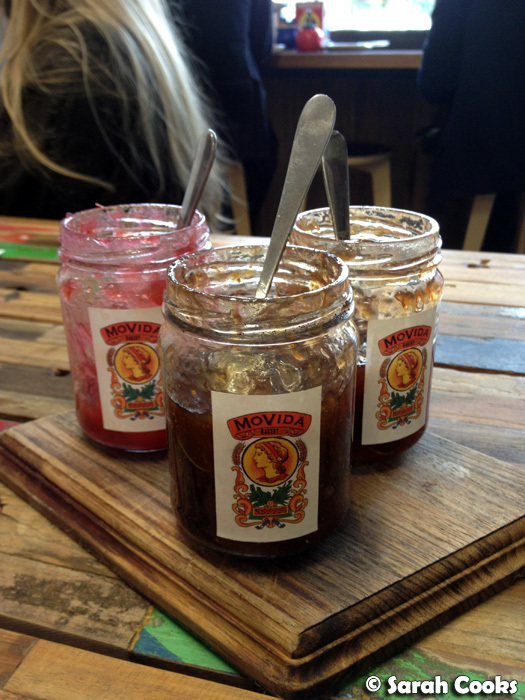 As I mentioned above, that was my first visit to any MoVida venue, and I must admit that given the group's prominence, I had thought that the bakery might be a bit attitudey or hipster, but I'm glad to say that this assumption proved false! The service, whilst not particularly knowledgeable, was still warm and friendly. (For example, the person who served me didn't know the names of the different products, and my question of: "Which of the lamb or beef pie would you recommend?" was answered with a very relaxed: "Yeah... I don't know, they're both good."). This wasn't a dealbreaker, though, and I was more than happy to come back again. My second visit was on Friday for lunch with my parents, and despite being a weekday, it was still crazy busy! We happened to be lucky with timing - there wasn't much of a queue when we arrived, but shortly after the queue was out the door! Again - whoops - I forgot to take notice of individual prices, but it was only $26.00 for the empanada, the chicken sandwich, the sausage roll and the beef-cheek pie. Not bad! 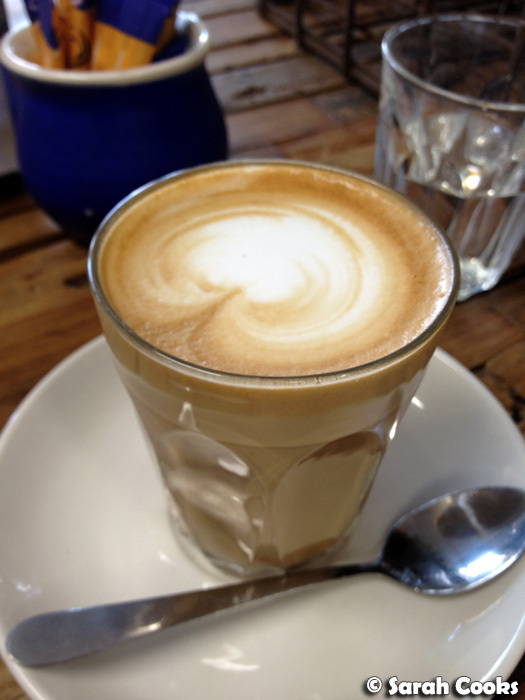 (Coffees are $3.50 each).